True; nowhere in the course of the show is Abby Sinian called "Professor." But here's my justification for it, which takes a passing knowledge of the rules of Academia, and her specific specialties. We see that Dr. Sinian works in the Megakat Museum of History. In her work, she is not only responsible for overseeing the exhibits, but she is also in charge of managing the texts and rare books in that collection. In her work, she is thus a combination of a curator and a librarian/archivist; it requires a special skillset for both, and they don't let you work at a museum if you don't have a doctorate. My sister recently got her Master's degree in library science with a focus on archival and rare document preservation and storage; she is now going after her doctorate. Among the various classifications of a "Professor" is that of a Research Professor; someone who has little, or NO teaching expectations hoisted on them, and whose main responsibilities are research and study. Many research professors rarely receive a full university salary, and have other tasks to supplement. Dr. Sinian's role as curator of the MK Museum of History fits this niche rather correctly. We never see her actively engaged in the task of teaching, but we do see her take on the tasks of a research professor consistently throughout the show's duration. The strongest piece of evidence of her as a research professor is the expedition to Katchu Picchu; her archaeological dig team is on site when the Pastmaster arrives and starts stirring up trouble. Archaeological surveys that have the focus of excavation and relic/artifact retrieval are carefully monitored, controlled, and approved; such expeditions are typically the enterprises of multiple historical societies and universities. In her role as curator of a museum, Dr. Sinian would have little pull to authorize or work on such an expedition. Were she a Research Professor at a larger institution of higher knowledge, like Megakat University or some other unspecified College, the process to get the funding, and approval for, such a large expedition becomes much easier. Thus, while the show may never identify her as a Professor as they do Hackle, who presumably did some engineering instruction along with working for Pumadyne, her skillset and the actions she takes within the show lend themselves strongly to her having the classification of Research Professor. Yeah, but she's still never identified as one. That's indisputable. Even if she does hold the title of professor, everyone calls her Doctor. It's fine to mention she might be a research professor given what we see her do, but she should be listed as Dr. Abby Sinian, as that's her canon name and primary title. Also, how do we know Sinian is also the museum's archivist? Do you mean the scene in The Ghost Pilot where she gets a book to read up on the Red Lynx? If the simple act of taking a book off a shelf means she's in charge of the books and texts, isn't that like assuming I'm the janitor where I work because I clean up a spill? Anyway, the book she retrieves is in a place where anyone can go get it. In fact, it appears as though it's in the airplane hangar. She and Callie are clearly in the hangar, and then Sinian walks forwards all of two feet and takes the book down off the shelf. Hardly evidence of her specialty as an archivist. To be fair, it appears as though a transition error occurs in that scene, and the background used for when she gets the book is a different room containing a dinosaur skeleton and not the hangar. But this still doesn't mean much, because the same background is used later for when Sinain calls Callie to tell her what she's discovered, and I'm pretty sure it's meant to be the room in The Pastmaster Always Rings Twice where the chest was, just seen from a different angle, and this room is right outside Sinian's office. So whether in the hangar or right outside her office, the book is in a place she wouldn't need to be the archivist to get it. But this is a cartoon show, a kid's cartoon show, and the folks doing the writing and the animating have likely never experienced that personally or had the time to reach out for complete accuracy. As a compromise to your concerns, I'll edit her post as Dr. Sinian, but I won't stop personally referring to her as a professor. It's a matter of RAW vs. RAI; a conflict which hails from paper and pencil RPG games like Dungeons and Dragons, Pathfinder, and so on. RAW is shorthand for Rules as Written: Like supreme court judges who take a hardline that the U.S. Constitution is a document with no room for interpretation, RAW in the framework of this particular issue with Abby Sinian is exactly as you state it: The show only ever addresses her as "Doctor" Sinian, therefore, she is just a doctor. RAI is shorthand for Rules as Intended: That a literal interpretation is not always the correct one as times and circumstances change, and that some room for modification can and must be given as needs must. I take the side of RAI with my examination of Dr. Sinian. When the writers and animators on the show created Dr. Sinian, they were likely unaware of the specifics in her field: She, like all of the tertiary cast, exists solely to create situations or to present a solution to them. They didn't know enough about the historical sciences, the library sciences, to make the necessary adjustments for complete accuracy. They made her a doctor. They INTENDED for her to be a Professor, they just didn't know enough to make the necessary adjustments. And that's where we come in. We cannot answer every unanswered question, but we do have the capability to use critical thinking; What were they going for when they made her character? What needs to change to flesh her out more fully? My answer, using the principle of RAI, is that she's a Professor. They intended her to be. The books, the texts she references may not be where they need to be, but she KNOWS where to find them. A Curator who left the archival of rare documents to the Archivists on staff would take longer to find and supply the answers needed. They just lacked the knowledge set at the time to give Sinian her full due. Anyhoo. I've made the compromise adjustment and provided my reasons for this interpretation of Dr./Professor Sinian. Continue to call her a Doctor only if it pleases you. My use of the term Professor is meant to give additional foundation and explanation as to how she continues to be so effective in the course of the show, and how she's definitely not a Lara Croft/Indiana Jones sort. Not that I really want to get too involved in the Dr/Professor debate because really you can call her either way in your fanfics. But this IS meant to be more of a character bible in sync with the show, yes? And she actually referred to as Dr. in the show. 1) Holders of doctorates who work in academia or research institutions are addressed as Dr. (Name) professionally and socially in a salutation or conversation. Thus a PhD professor at a college, a PhD in biology doing scientific research, and a PhD principal at an elementary school all use Dr. and everybody thinks it is normal. NOTE: At some universities it is traditional to address faculty holding of academic doctorates as Mr. (Name) or Professor (Name) and not to address as Dr. (Name). If you know it is the tradition it is correct to use it. But for those outside the academic community it is acceptable to address holders of doctorates as Dr. (Name) in writing or oral address." In short, Dr. is the most common way to address someone in academia who has a PhD, which Sinian probably has. Using Professor instead is not incorrect, but is less common and usually only used as a preference by that individual. So the reason Abby is referred to as Dr. Sinian is most likely because that is Abby's preferred title that she chooses for herself. She could be either, but she chooses to introduce herself as Dr. Sinian and not Professor Sinian. Ann Gora- In Megakat City, there's always something going on, be it a social event, an unveiling, or more often than not, a developing crisis situation of biblical proportions. Regardless of the circumstances, there is one shekat who has a nose for sniffing out the freshest of fresh scoops. Her name is Ann Gora, of Kat's Eye News. Whether on the ground or in the KEN helicopter, you can always find this star reporter on the edge of the action...and sometimes, right in the thick of it. Ann Gora is most often seen out in the field on special assignment throughout Season 1 and through the duration of Season 2. She is often seen in the company of her loyal cameraman, Jonny, and less often with her favored helicopter pilot Al. 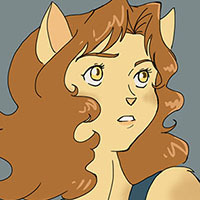 She has been on site for such dramatic events as Dark Kat's attack on the Megakat Nuclear Plant, the hijacking of multiple prototype war machines, (such as the Behemoth tank, the Blue Manx jet fighter, and the Macrobots) the Rex Shard and Madkat incidents, a foiled alien infestation, a forgotten rock/lava monster, and in a moment that conventional wisdom about the decibel level (And safety) of a hovering VTOL jet right next to a helicopter should have prevented, a mid-air live interview with the SWAT Kats themselves. By the end of Season 2, she is finally seen behind a desk at Kat's Eye News on a regular basis, which might indicate that she was only promoted to lead anchor after what we can assume was several years of hard work and unpaid hazardous assignments. In terms of a capstone for promotion, a life-threatening expose on illegal dumping of toxic waste, mutated scorpion monsters, and the remains of missing Agracite monsters would seem to certainly be worthy of the honor. Effectively, Ann Gora operates as the show's emblem character of the fourth estate. She is given the most 'air time', personality, and is the only one with a full name, as well. Given the show's track record of only introducing tertiary characters as needed and keeping the cast (And voice acting costs) minimized, this is not a surprising choice, but as a result of it, Ann Gora is forced to bear all the qualities, for good and ill, of news reporting and reporters. What this leads to is a suicidal tenacity on her part to pursue the story without regard for her own life or limb, and sometimes, no regard for the well being of the kats around her. Taking her cues from such other famous comic-book reporters like Lois Lane, Iris West, and Vicki Vale (Because all comic book character names need to use alliteration), Ann's pursuit of the story often puts her in the line of fire. 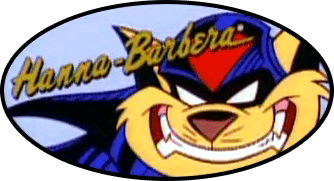 This flaw is sometimes played up for effect, as it gives impetus for the SWAT Kats to act heroic. These moments are more common in Season 1, with her remarkable lack of self-preservation resulting in her helicopter being attacked at least twice while she swoops in for a better shot or to try for a live interview (Dark Kat at the Megakat Nuclear plant and Chaos in Crystal), and on more than one occasion when she's on the ground as well (Destructive Nature for example). In these moments, she represents the members of the press corps who needlessly risk their lives for the shot. Twice, however, her nose for the story seems to follow the more heroic moments of broadcast journalism; the Ci-Kat-A incident in Season 1, and her harrowing experiences below the Agracite mines in Season 2. On these occasions, her suicidal drive for the story does more than provide mere 'hero fodder' for the SWAT Kats to intervene. In these incidents, she doggedly pursues her instincts and exposes a danger to the public, giving the authorities (and vigilantes) a chance to take notice and intervene before things would truly go out of control. These two incidents/episodes stand as some of her best work in the field because of the results of it, even if they put her in the most extreme danger (In terms of total show airtime). In total, Ann Gora's life is in peril a total of 7 times throughout the show's two seasons, a remarkable total for a newscaster that only seems like small potatoes next to the constant near-death situations faced by the main cast of characters. The extreme loyalty displayed by her cameraman Jonny is especially noteworthy in light of this fact, to say nothing of her helicopter pilot who is known only as "Al." In spite of both of these toms constantly urging her to be more cautious in her work, they nonetheless continue to work with her as she exposes them to one piece of madness after another. Jonny's concern for her might possibly indicate that their relationship goes farther than work associates, but one has to stare very hard for that hypothesis to be acceptable. What to Avoid and What to Do with Ann Gora: In truth, for as much of a closet adrenaline junkie as Ann Gora may be, she displays no sign of ever developing a need to "Make" the news happen just to get the scoop on a fresh story, so storylines where she goes off the rails and becomes a serial killer or something equally ridiculous are best kept in a dark corner. Depending on your outlook, Ann Gora may or may not be in a relationship with her cameraman Jonny, as this is only ever barely hinted at in Caverns of Horror, and may be nothing more than her closest work associate panicking at the possible loss of his dearest friend at KEN. Additionally, her time as a desk anchor at the end of Season 2 may be a fluke, as Lance Falk is on record questioning it when her role has always been that of a field reporter prior, or you may take it as I do that she was finally given a promotion after years of self-sacrifice to the story. In general, Ann Gora is the show's setpiece for all broadcast journalists; she is omnipresent only because she is required to be. If using her and desiring a sense of realism, authors should feel free to have her arrive late on the scene of a crisis instead of being there right as it starts. Next Time on Staying in Character: Lieutenant Commander Steele That's Steel! Two E's! EricoBard wrote: In general, Ann Gora is the show's setpiece for all broadcast journalists; she is omnipresent only because she is required to be. If using her and desiring a sense of realism, authors should feel free to have her arrive late on the scene of a crisis instead of being there right as it starts. Or maybe even use another reporter character. We saw several in "The Giant Bacteria", and creating an entirely new character is always a possibility. P.S. Another nice job, Erico! P.P.S. Do we have an Ann Gora smilie yet?